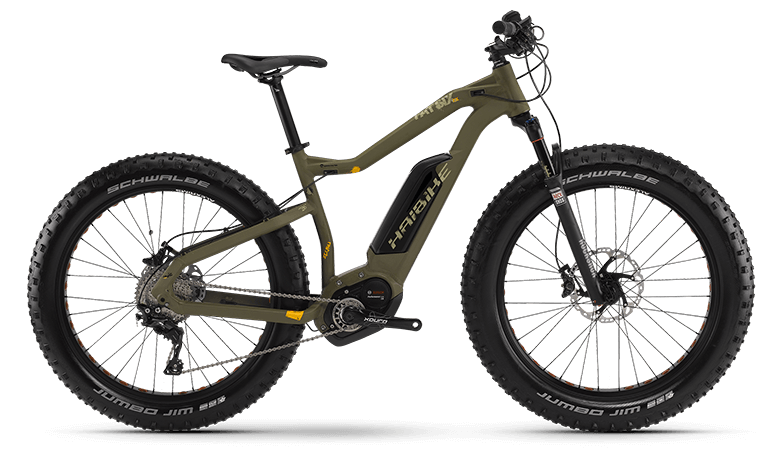 The XDURO for rough terrain: the FatSix. With its 26′ wheels and a tire width of 4′ is it ideal for rough terrain, snow rides or for a big performance. Our FatSix frames were completely redeveloped: A special fatbike-geometry with optimized bottom bracket height and neutral steering angle make the FatSix astonishingly agile. A 197mm extra-wide rear wheel hub with QR axle provides for a significantly higher stability. Thanks to the generously dimensioned tire width the FatSix is unsusceptible for dirt even in mud or snow.